Give your client a gift they will always treasure. Whether you sold the home, listed it, or provided the financing; a Replica of your client’s home is appreciated like no other gift. It doesn't matter how grand or modest the home may be, people love their homes! And with a hand painted greeting from you to your client on the back of the Replica, your client will always remember your thoughtfulness. Include your contact info in your greeting and your client will always be able to reach you. The best news of all is a Sundance Replica is only $50.00! 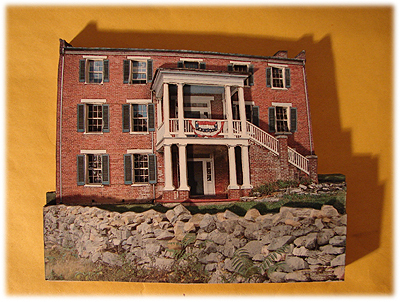 We'll create an individually handcrafted, and hand painted, three-dimensional Sundance Replica of your client's home. When placing your order, tell us what characteristics of the home you would like us to accentuate in 3D. Every Replica can be on perpetual display as part of the decor ... on the mantel, on a table, or a desk... in a high-visibility area where the family can enjoy it and guests will surely notice. Your client will tell the story of your thoughtfulness over and over again. You'll be top-of-mind for referrals ... and for repeat business when the client makes their next move. 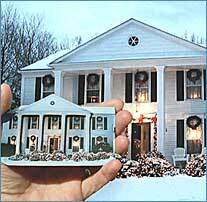 For special clients, why not present them with one Replica of the home they're leaving ... and at the holidays or another special occasion, a second Replica featuring their new home? Many Real Estate Agents give Replicas as a “Congratulations on One Year in your Home” gift. Copyright © 2018, Sundance Replicas Inc. All Rights Reserved.